God assuring promises will always give us courage and confidence to trust in His mighty name. He never gave us spirit of fear but of boldness to trust His power even in times of uncertainty, His righteous, mighty hands will uphold you. 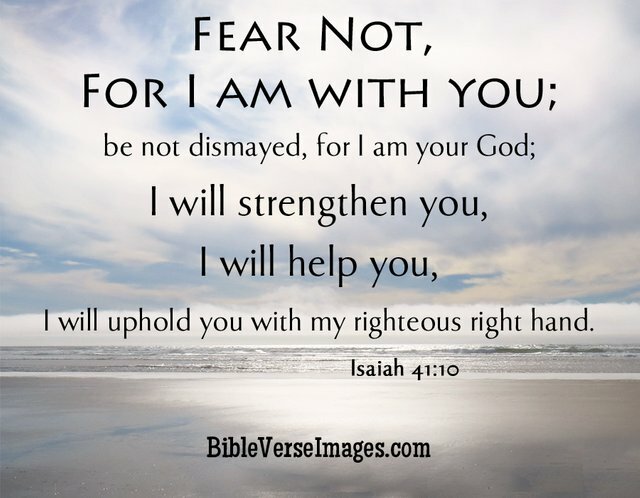 FEAR NOT SAYS THE LORD BECAUSE HE IS WITH US AND HE IS OUR GOD!